Championships are held for Men, Women and Mixed. 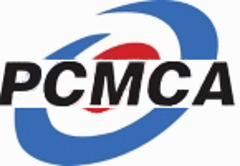 The 60+ (Master Men’s) and the 70+ (Grand Master Men’s) PCMCA Playdown competitions are held in each of the 4 Zones respectively with the Zone winners advancing to the Masters Combined Championships with the BCIMCA to determine a BCIMCA Champion a PCMCA Champion and a Combined Provincial Champion. The Combined Championships alternate annually between the Interior and Coastal associations. Mixed Championship was introduced in 2010 and a 60+ Women Championship added in 2014. The respective 4 Zone winners along with a host Zone team play a round-robin format to determine a PCMCA Champion. All member clubs in each Zone are eligible to host a Zone play down event. Host clubs are normally selected on a rotation basis within each Zone. The Combined Championship Event is truly a grand event complete with team photo’s, parade of teams on the ice, a “toast” to the piper, a welcoming from dignitaries, ceremonial first rock, a meet and greet, hospitality room, prize draws, 50/50 draw and topped off with a Gala Awards Banquet on the last evening. This is a grand social event to acknowledge the winners, give thanks to the host and unwind after four days of competition. All PCMCA Bonspiel’s and Playdown’s are governed by the “Rules of Play of Curl BC”. The delivery of a stone may be delivered with a “curling/delivery stick” in all PCMCA Play. Here, “Canadian Stick Curling Rules” apply. At Provincial Combined Competition play, should a tie result after round-robin play a special “playoff” will take place in a manner determined by the PCMCA and the BCIMCA.